On Saturday, March 25, fifteen garden enthusiast attended a "Vegetable Gardening Symposium" to learn and share experiences about some of the vegetable and fruit choices available for early planting in the home garden. 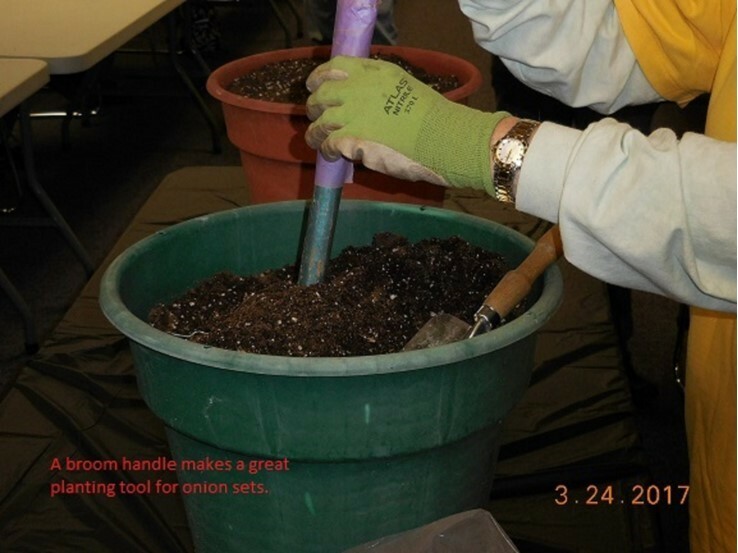 Participants also learned more about composting and how easy it is to recycle vegetable scraps and yard waste to build rich compost for use in your garden. 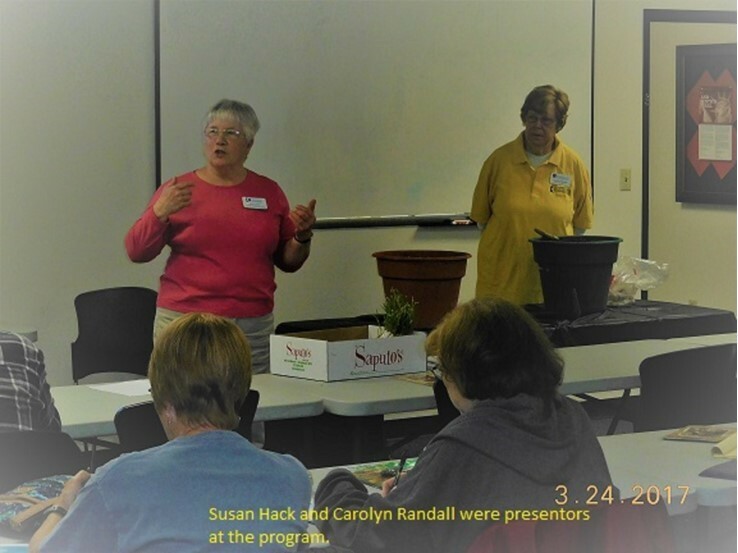 The workshop was presented by University of Illinois Extension master gardener volunteers from the Small Fruit and Vegetable Committee. Ann Pictor and Bill Budd presented a program about composting, Ann Broch's topic was strawberries, Susan Hack gave a program on onions, and Richard and Carolyn Randall presented a potato program. There was a lot of useful information presented in each session. Here are a few "gems" from each presentation. 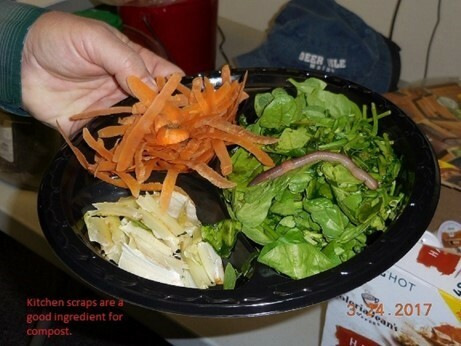 One pound of worms (1,000 worms) can eat a half pound of fruit and vegetable table scraps in a day. Be sure to cut scraps into small pieces. Onion sets smaller than a dime produce larger onions, large sets should be used for green onions. Potatoes form best at soil temperatures between 60 and 80 degrees. 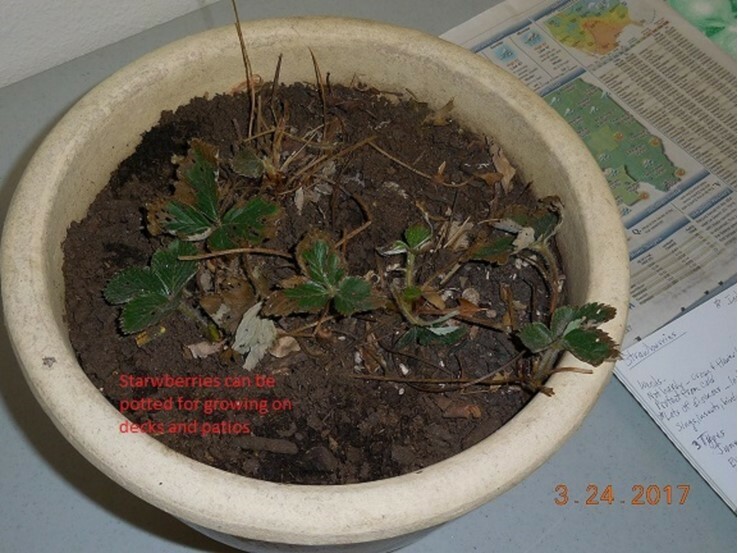 Visit Illinois State Water survey website for daily soil temperature information, http://www.isws.illinois.edu/warm/soil/ . Each leaf an onion plant produces represents one onion layer or ring. Plant potato rows 24 inches apart. This helps shade the soil and prevent high soil temperatures. Now get out there and plant something!